This comprehensive and accessible new textbook offers a complete grounding in both qualitative and quantitative research methods for the sports studies student. This comprehensive and accessible textbook offers a complete grounding in both qualitative and quantitative research methods for the sports studies student. The book offers the reader a step-by-step guide to the research process, from designing a research project, to collecting and analysing data, to reporting the research, all of which is richly illustrated with sport-related case-studies and examples. The book covers key topics such as: - conceptual Models - qualitative research methods - choosing an appropriate research design - undertaking a literature review - the internet as a research tool - writing a research report - the key research methods such as questionnaires, interviews, content analysis and ethnographic studies. 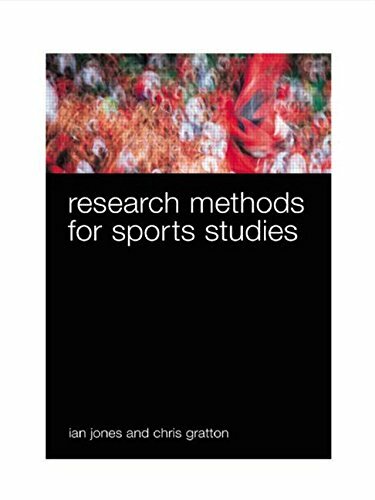 - analysing data, including an introduction to SPSS, as well as guides to descriptive and inferential statistics This is the first research methods text designed exclusively for students studying sport. It will therefore be essential reading for all undergraduates on sport courses undertaking a research project or dissertation.